This page is a summary of the work carried out on the Career Integration Grant project KineticCF which run from 2012 to 2015. The work of this project focuses on the rigorous mathematical development of kinetic theory and the applications of its techniques to the study of models of population dynamics and cell fragmentation and growth in biology, to the dynamics of coagulation and fragmentation processes in physics, and to more recently developed models in the field of collective behavior. The aim is then twofold: to advance the understanding of basic equations in kinetic theory, such as the Boltzmann equation, and to employ known or newly developed techniques in this field to the rigorous treatment of models in the above mentioned areas, such as the Becker-Döring equation for nucleation, the growth-fragmentation model for cell populations, or individual-based models for collective behaviour. Work has been carried out on the main lines detailed in the project. Particularly, advances have been obtained regarding entropy methods for the Boltzmann equation and their application to the behaviour of models with a background interaction. We also considered coagulation and fragmentation models, with an interesting breakthrough on entropy inequalities for the Becker-Döring equation (see results below). Work on collective behaviour models has also yielded some fundamental results in the theory of the aggregation equation. Intense collaborations have been carried out with researchers in the UK and international groups, especially in Imperial College London regarding collective behaviour; with University of Cambridge researchers regarding entropy inequalities for coagulation-fragmentation problems; and following ongoing research projects with the Universities of Parma and Torino. 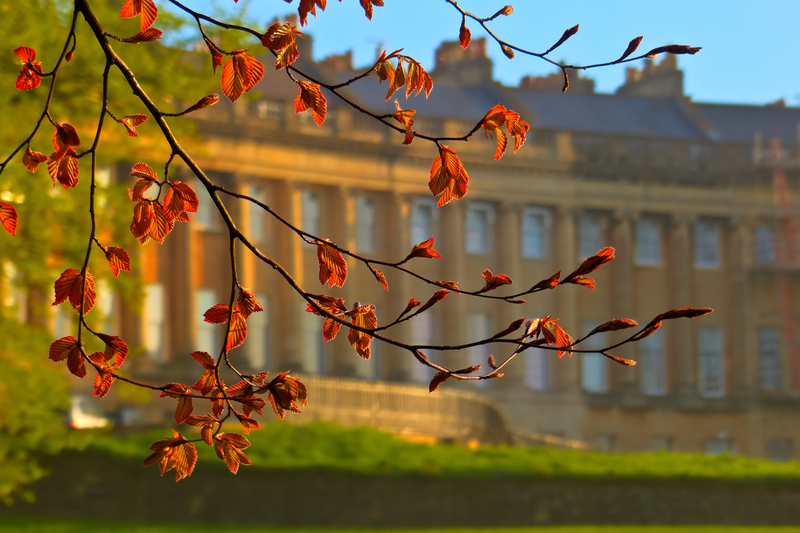 A Spring School coorganised with M. Di Francesco was held at the University of Bath in 2014 on the topic of the relationship between microscopic and macroscopic behaviour of systems. You can find all information on the school, including the full program and some of the presented posters, at its website. Regarding the Boltzmann equation and related models, we have studied an entropy-entropy production inequality for the logarithmic entropy in the linear Boltzmann equation. This was one of the objectives of the project and has been carried out successfully, with results gathered in a 2015 publication in Journal of Functional Analysis. Several applications of this inequality have been given in a preprint by Cañizo and Lods, where it is used as a means to studying trend to equilibrium of a nonlinear model including an interaction with a background at a fixed temperature. Part of the proposed work on coagulation-fragmentation models concerns the Becker-Döring equation, a model for nucleation and growth which is relevant is processes of crystallization, aggregation of lipids, and phase change phenomena. Quite complete results have now been obtained regarding asymptotic behaviour of its subcritical solutions. A linearised study was carried out in Cañizo and Lods (2013), and optimal results on entropy-entropy production inequalities have been obtained in Cañizo, Einav, and Lods (2015). Using inequalities in the theory of Markov processes, we show that there cannot be full entropy production inequalities in general, clarifying previous results on the matter. These results have a strong analogy with results for the Boltzmann equation, showing that the proposed links between coagulation and kinetic models have been fruitful. Finally, a fundamental result on the existence of minimisers for attractive-repulsive interaction potentials has been published in Archive for Rational Mechanics and Analysis. This is a step on the way of understanding the dynamics of several collective behaviour models, including the aggregation equation which has been an important focus of recent research in the field. We point out that the journals where the main results have appeared are of an excellent quality, ranking among the top journals in all common metrics. Published papers have already been used in several other models, with a remarkable impact for such recent works. Below is a list of published results, with links to papers in the public preprint server arXiv. José A. Cañizo, Amit Einav and Bertrand Lods. Trend to Equilibrium for the Becker-Döring Equations: An Analogue of Cercignani’s Conjecture. Analysis & PDE 10(7):1663–1708, 2017. In this work we investigate the rate of convergence to equilibrium for subcritical solutions to the Becker-Döring equations with physically relevant coagulation and fragmentation coefficients and mild assumptions on the given initial data. Using a discrete version of the log-Sobolev inequality with weights we show that in the case where the coagulation coefficient grows linearly and the detailed balance coefficients are of typical form, one can obtain a linear functional inequality for the dissipation of the relative free energy. This results in showing Cercignani’s conjecture for the Becker-Döring equations and consequently in an exponential rate of convergence to equilibrium. We also show that for all other typical cases one can obtain an ’almost’ Cercignani’s conjecture that results in an algebraic rate of convergence to equilibrium. Additionally, we show that if one assumes an exponential moment condition one can recover Jabin and Niethammer’s rate of decay to equilibrium, i.e. an exponential to some fractional power of $t$. José A. Cañizo and Bertrand Lods. Exponential trend to equilibrium for the inelastic Boltzmann equation driven by a particle bath. Nonlinearity 5(29):1687–1715, 2016. We consider the spatially homogeneous Boltzmann equation for inelastic hard spheres (with constant restitution coefficient $\alpha \in (0,1)$) under the thermalization induced by a host medium with a fixed Maxwellian distribution. We prove that the solution to the associated initial-value problem converges exponentially fast towards the unique equilibrium solution. The proof combines a careful spectral analysis of the linearised semigroup as well as entropy estimates. The trend towards equilibrium holds in the weakly inelastic regime in which $\alpha$ is close to $1$, and the rate of convergence is explicit and depends solely on the spectral gap of the elastic linearised collision operator. Alethea B. T. Barbaro, José A. Cañizo, José A. Carrillo and Pierre Degond. Phase transitions in a kinetic flocking model of Cucker-Smale type. Multiscale Modelling and Simulation 14(3):1063–1088, 2016. We consider a collective behavior model in which individuals try to imitate each others’ velocity and have a preferred speed. We show that a phase change phenomenon takes place as diffusion decreases, bringing the system from a “disordered” to an “ordered” state. This effect is related to recently noticed phenomena for the diffusive Vicsek model. We also carry out numerical simulations of the system and give further details on the phase transition. Marzia Bisi, José A. Cañizo and Bertrand Lods. Entropy dissipation estimates for the linear Boltzmann operator. Journal of Functional Analysis 269(4):1028–1069, 2015. We prove a linear inequality between the entropy and entropy dissipation functionals for the linear Boltzmann operator (with a Maxwellian equilibrium background). This provides a positive answer to the analogue of Cercignani’s conjecture for this linear collision operator. Our result covers the physically relevant case of hard-spheres interactions as well as Maxwellian kernels, and we always work with a cut-off assumption. For Maxwellian kernels, the proof of the inequality is surprisingly simple and relies on a general estimate of the entropy of the gain part operator due to Villani (1998) and Matthes and Toscani (2012). For more general kernels, the proof relies on a comparison principle. Finally, we also show that in the grazing collision limit our results allow to recover known logarithmic Sobolev inequalities. J. A. Cañizo, J. A. Carrillo and F. S. Patacchini. Existence of Compactly Supported Global Minimisers for the Interaction Energy. Archive for Rational Mechanics and Analysis 217(3):1197–1217, 2015. The existence of compactly supported global minimisers for continuum models of particles interacting through a potential is shown under almost optimal hypotheses. The main assumption on the potential is that it is catastrophic or not H-stable, which is the complementary assumption to that in classical results on thermodynamic limits in statistical mechanics. The proof is based on a uniform control on the local mass around each point of the support of a global minimiser, together with an estimate on the size of the ’holes’ that a minimiser may have. The class of potentials for which we prove existence of minimisers includes power-law potentials and, for some range of parameters, Morse potentials, widely used in applications. Finally, using Euler-Lagrange conditions on local minimisers we give a link to classical obstacle problems in the calculus of variations. José A. Cañizo and Bertrand Lods. Exponential convergence to equilibrium for subcritical solutions of the Becker–Döring equations. Journal of Differential Equations 255(5):905–950, 2013. We prove that any subcritical solution to the Becker-Döring equations converges exponentially fast to the unique steady state with same mass. Our convergence result is quantitative and we show that the rate of exponential decay is governed by the spectral gap for the linearized equation, for which several bounds are provided. This improves the known convergence result by Jabin & Niethammer (see ref. ). Our approach is based on a careful spectral analysis of the linearized Becker-Döring equation (which is new to our knowledge) in both a Hilbert setting and in certain weighted $\ell^1$ spaces. This spectral analysis is then combined with uniform exponential moment bounds of solutions in order to obtain a convergence result for the nonlinear equation. Expected final results and potential impact. Collaborations are under way to extend the results mentioned above. We expect that further applications can be found for the inequalities involving the Boltzmann operator, possibly allowing for the study of models with inelastic collisions. For the Becker-Döring equation, behaviour of subcritical solutions is quite well understood now, and further work will probably involve a better understanding of the supercritical behaviour, which is still a challenging problem. Regarding collective behaviour models, a study of the dynamics of the aggregation equation is one of the problems being attacked now. For this, further properties of stationary solutions are probably needed, such as uniqueness and better information on the regularity. We intend to continue work on these problems in the next years.